An amazing two-set WeDo 2.0 project! Here’s a two-set LEGO WeDo 2.0 project, a sturdy LEGO sumo robot that you can remote-control using a joystick. I specifically created this model to use two WeDo 2.0 sets #45300, to give the kids the opportunity to face a challenging programming task. This LEGO WeDo 2.0 project is ready to go! You find the screenshots of the program in the PDF document. 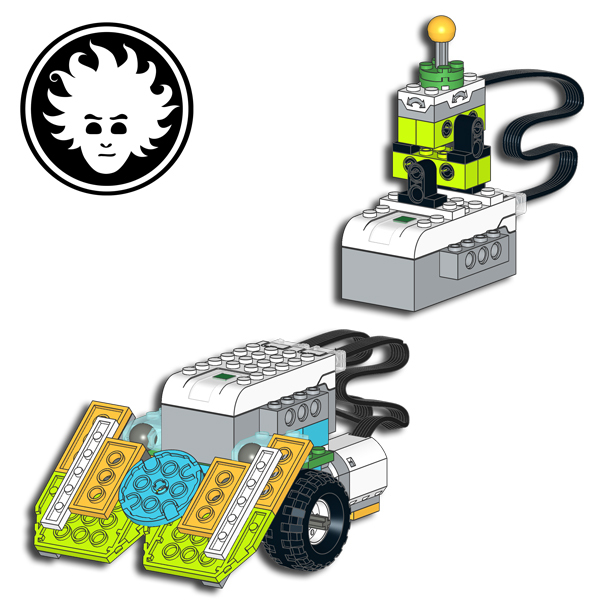 This RC Sumo robot can be built with the parts from two LEGO WeD0 2.0 sets 45300.